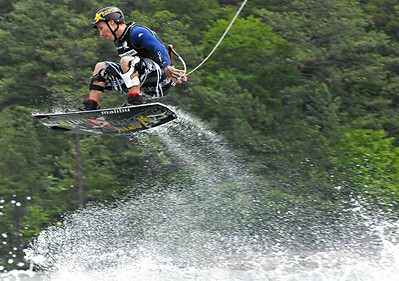 MasterCraft Pro Wakeboard Tour. Dallas Landing Park Acworth, GA. May 2008. 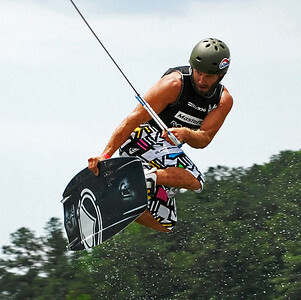 Chad Sharpe of Cloverdale, British Columbia competes in the Pro Men Quarter Finals Saturday afternoon during the MasterCraft Pro Wakeboard Tour at Dallas Landing Park in Acworth. Ben Greenwood glides in the air for a moment as he competes in the Pro Men's Quarter Finals Saturday afternoon. 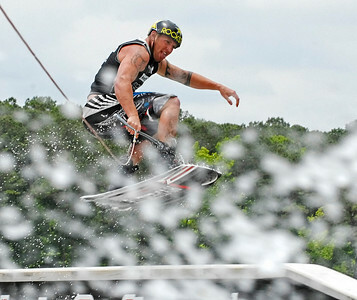 Randall Harris of Huntington Beach, California creates a spray of water as he competes Saturday afternoon during the MasterCraft Pro Wakeboard Tour at Dallas Landing Park in Acworth. Josh Sanders of Nowra, Australia works on his form while in the air Saturday afternoon while competing in the Pro Men's Quarter Finals. 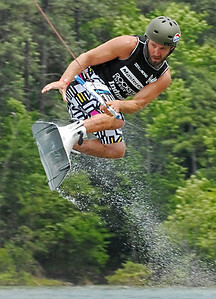 Chad Sharpe of Cloverdale, British Columbia glides down a ramp Saturday afternoon as he competes in the Pro Men's Quarter Finals of the MasterCraft Pro Wakeboard Tour in Acworth. 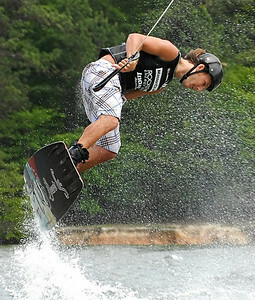 Phillip Soven of Longwood, Florida hovers in the air while competing in the Pro Men's Quarter Finals of the MasterCraft Pro Wakeboard Tour Saturday afternoon at Dallas Landing Park in Acworth. 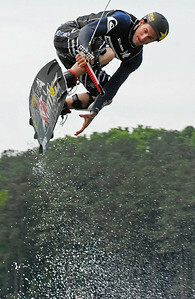 Rusty Malinoski of Humboldt, Saskatchewan flies above a ramp while competing in the MasterCraft Pro Wakeboard Tour in Acworth Saturday afternoon.